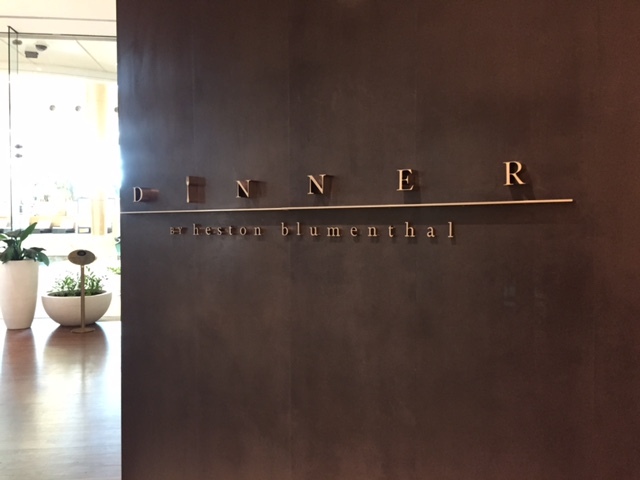 These intrigue building words greet guests as they enter the long dark corridor that separates the Crown Towers hotel from Dinner by Heston Blumenthal. 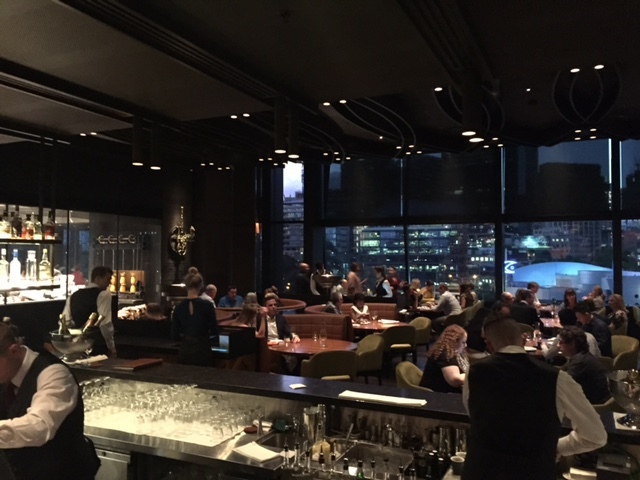 October 2015 saw the opening of Dinner in Melbourne – Heston’s first permanent restaurant outside of the UK. 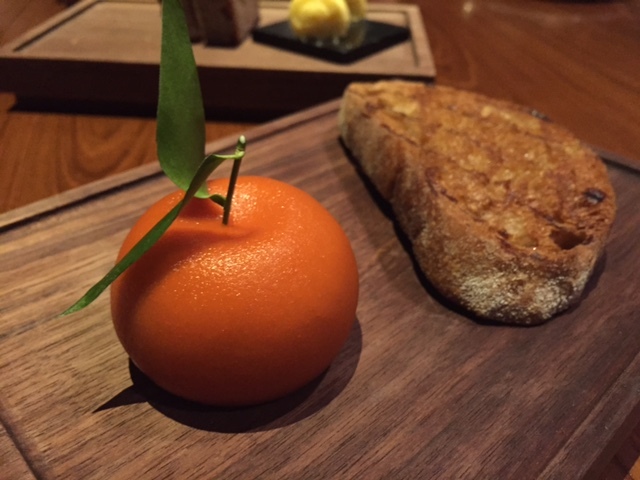 The Dinner by Heston magic started in London in 2011 – where one Michelin star was soon followed by 5th place on The World’s 50 Best Restaurants list. Why “Dinner”? I’ve read that Heston wanted a name that was inspired by historic British gastronomy but that was also playful. Until the 1800s in Britain the main meal was called dinner and it was eaten at midday. 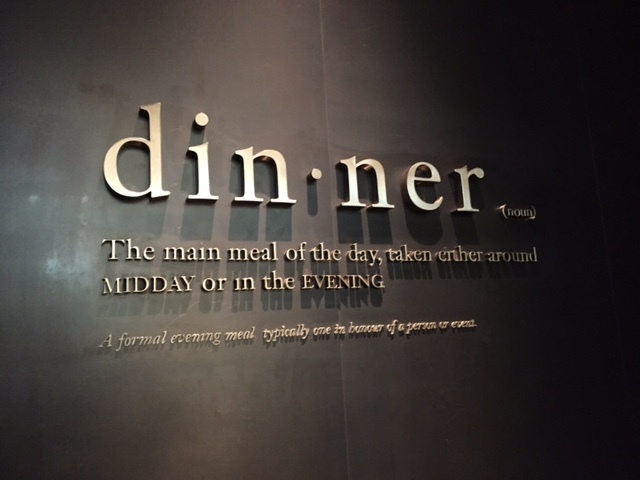 Over time the main meal shifted to around 5pm – but, in some parts of the UK (like Yorkshire where I grew up), ‘dinner’ is still used today to describe what most of us know as lunch. 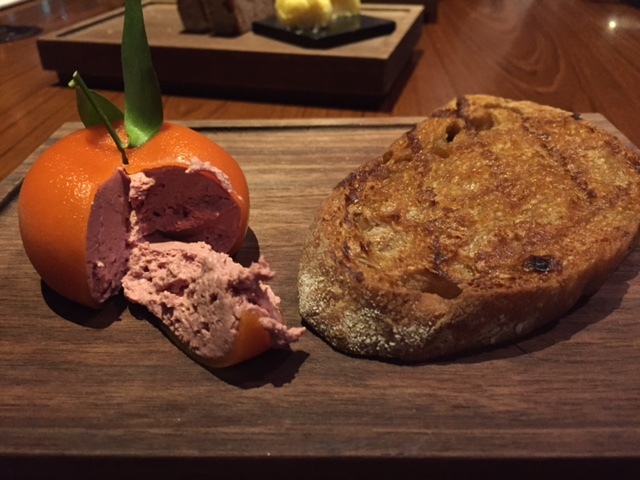 And at Dinner by Heston dinner is served as late as 10pm……Confused? Anyway whatever time of day guests are feasting on their main meal at Dinner by Heston they probably feel lucky to be there. Apparently Heston had 15 offers from around the world – and it was his love for all things Australian that lead him to Melbourne. What’s more the first few months of reservations disappeared in a flash – to those (like me) who’d missed out in The Fat Duck ballot (the Heston pop-up that came before Dinner). The kitchen at Dinner is headed up by Ashley Palmer-Watts who, alongside what seems like a small army of chefs, presents his re-interpretation of British recipes dating back over 500 years. As a guest you’re left in no doubt as to the historic inspiration for each dish – the menu itself lists the sources of origin. Like the Hay Smoked Ocean Trout – from The Complete Practical Cook by Charles Carter (1730). And the Brown Bread Ice Cream – from A New System of Domestic Cookery by Maria Elizabeth Rundell (1830). 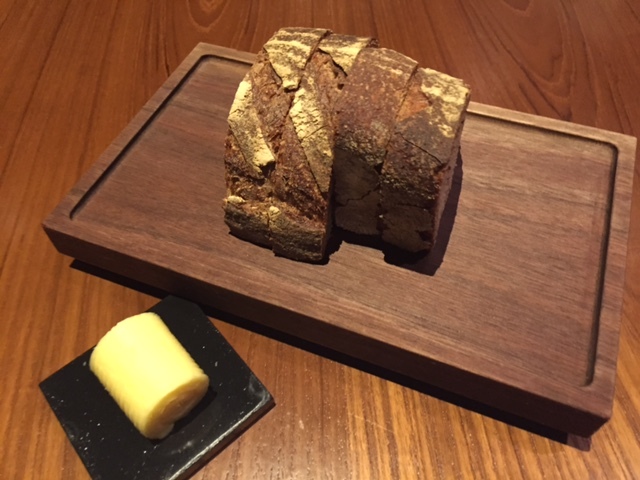 Lunch or dinner at Dinner starts with locally baked bread and house made butter – yes it’s really bread and butter (not something else in disguise) – although very good bread and butter at that. Then you have an almost overwhelming choice of 8 “starters” – the very British term for entrees. Not knowing if I’d ever be back I didn’t deliberate – the meat fruit, one of Dinner’s signature dishes, an obvious choice. It’s a ball of chicken liver parfait disguised in a skin of citrus mandarin gel – the result over over 2 days of preparation. The dish is topped with a (non-edible) leaf and is served with more of that delicious locally made and grilled bread. Of course I, like many who’ve been before me, couldn’t resist taking photos from all angles. Probably 20 shots later I sliced through the shiny orange skin to reveal the best parfait I’ve ever tasted. The team at Dinner aren’t trying to replicate historic dishes in the way food historians would – they’re re-inventing them for the 21st Century, using lots of Australian produce along the way. 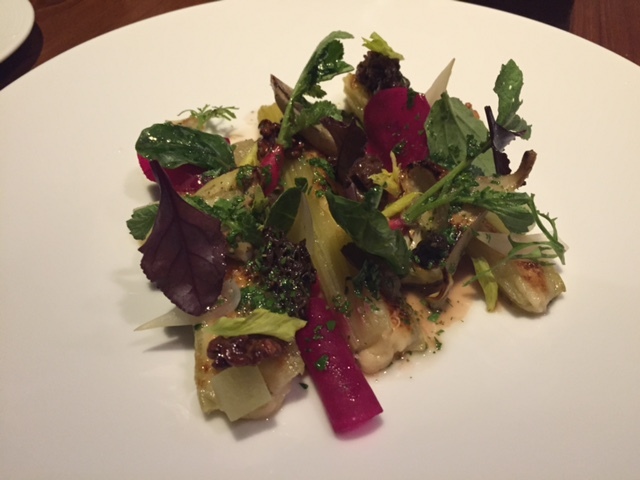 For example the Braised Celery from c.1730, my choice of main course. The name itself is underplays what’s really a complex, flavour packed dish – three celery sticks come decorated with parmesan, roast artichokes, cider apple & smoked walnuts. My husband, usually a red meat man, choose the chicken cooked with lettuces for main course. 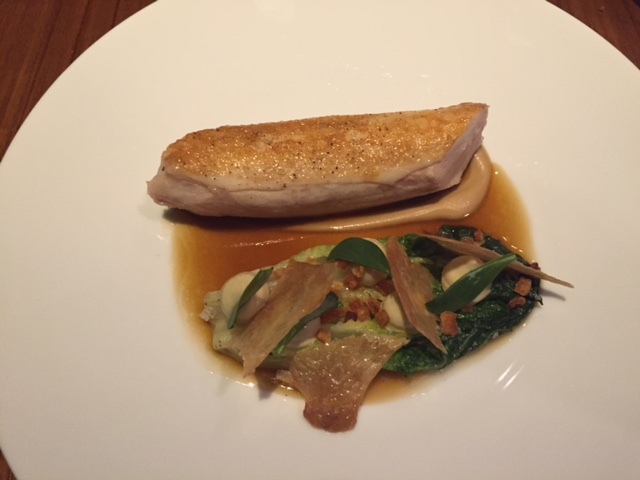 It comes with grilled onion emulsion, oyster leaves & spiced celeriac sauce. The most tender chicken either of us have ever tasted? Of course that’s what we agreed as I leaned over for another cheeky taste. 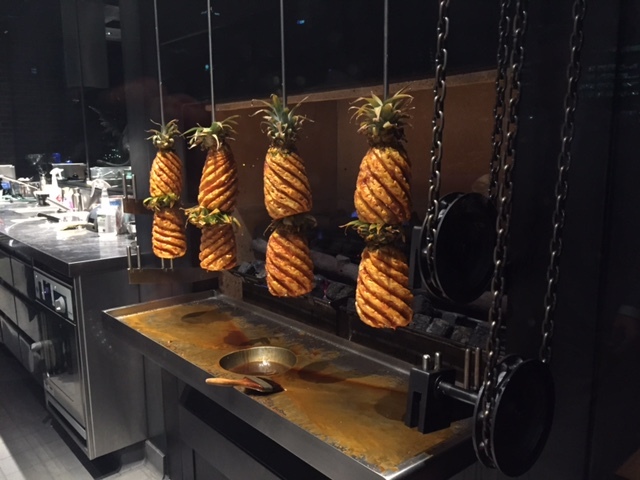 Based on my experience I’m sure that by the time most guests sit at their table they’ll have noticed the pineapple spit roast. It sits behind the big glass windows of the kitchen and is one of the features of the London restaurant that’s been replicated in Melbourne. It’s also one of the key reasons I can’t imagine many guests leaving Dinner by Heston without being tempted by dessert. Why? 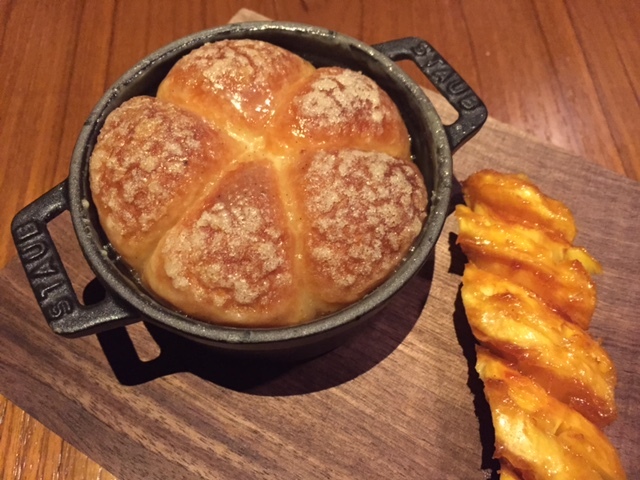 The Tipsy Cake of course….. 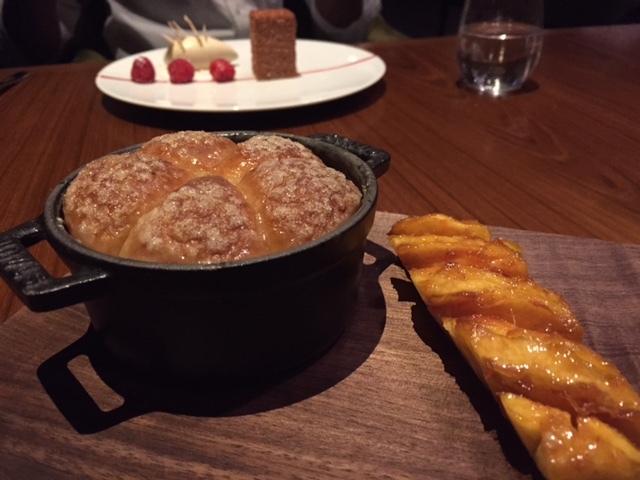 The dessert that seems to appear at least once on every table is the Tipsy Cake. A slice of spit roasted pineapple comes as a side to a brioche based pudding of brandy, cream and sugar. Despite taking its inspiration from a pudding that dates back over 200 years I’d happily choose a Tipsy Cake over most 21st Century desserts. A second dessert was deemed a wise decision so we could “share”. Although that proved harder in practice. Whatever its history this 2015 take on Lamington Cake completely outshines what Australians typically consider to be a good lamington. 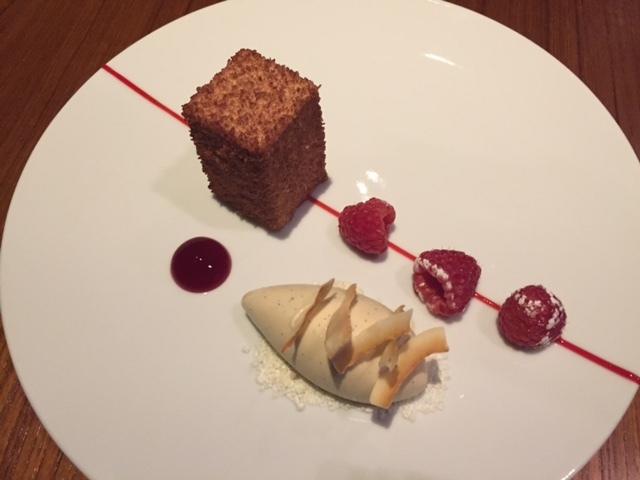 The Lamington at Dinner by Heston (with a surprise chocolate centre) comes with grilled raspberries, toasted coconut & cocoa ice cream. As if the sugar in the Tipsy Cake and Lamington hadn’t left me tipsy enough they were followed by a complimentary rich chocolate end to a very special meal. In a city that’s jam-packed with world-class restaurants what makes Dinner by Heston so special? In my opinion it’s truly different – every dish is so unique you can’t imagine coming across anything like it elsewhere. 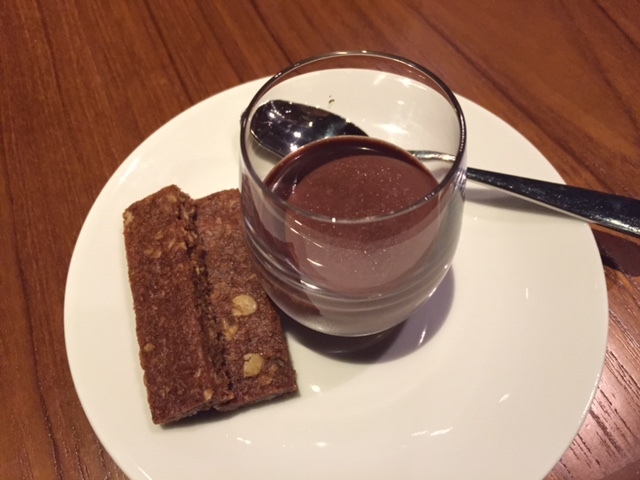 It’s fun – how many restaurants disguise chicken liver as fruit and end your meal with the offer of ice cream churned at your table with liquid nitrogen? (regrettably I was so full I really couldn’t squeeze it in). 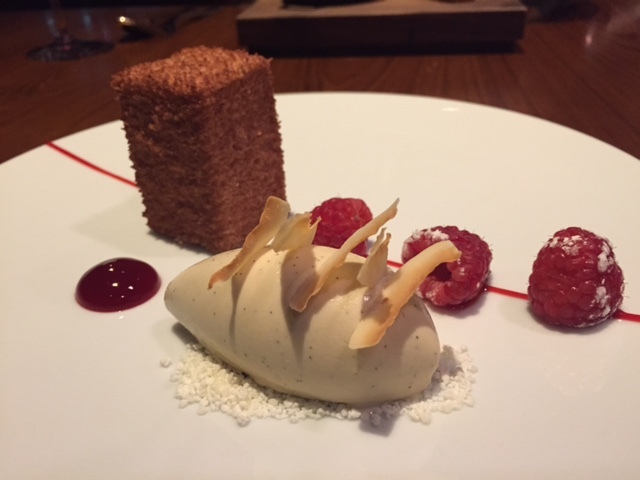 Finally it’s memorable – too often even the best, most refined and expensive meals can quickly become very distant memories – not so with Dinner by Heston. It’s a dining memory you’ll have no trouble releasing from the archives – yes you’ll talk about the Meat Fruit and Tipsy Cake for a long time to come. Plan ahead – reservations are released 4 months in advance on a rolling basis – unless you’re one of the first to book don’t expect much choice over date or dining time. Children over 4 years are welcome – but in the absence of a specific menu it’s an expensive kids meal. Reservations before 8.30pm have a time limit of 2 to 3 hours, depending on the number of guests. 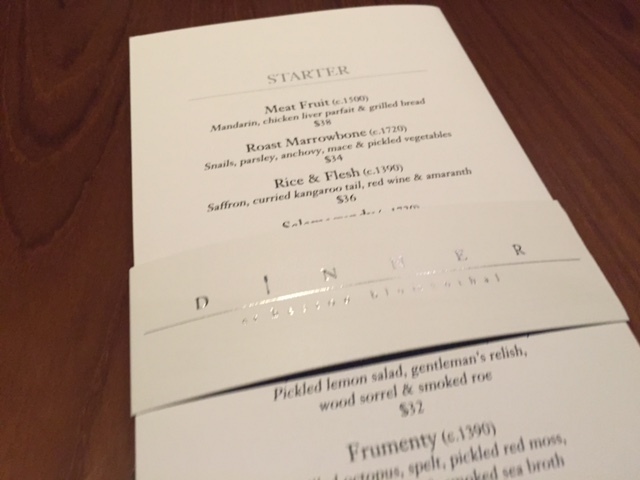 Although more affordable than The Fat Duck this is still top end dining – with 2 courses setting you back around $90 per person and 3 courses $130 (excluding drinks). 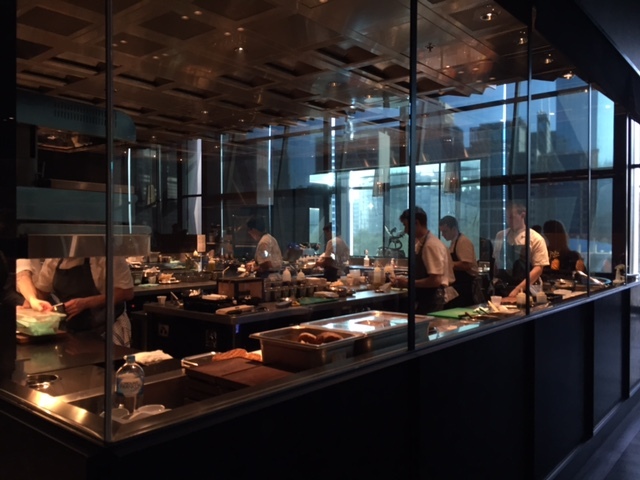 Tags: crown, Dinner by Heston Blumenthal, Melbourne, menu, restaurant, review. Bookmark the permalink. Yes you should put it on your bucket list for a future trip to Melbourne…. Definitely! I’ve been lucky enough to go to Melbourne twice now, and each time I have been blown away by the food. I would love to go and try a Heston menu!